Dr. Barbara Gitlitz is a medical oncologist in Los Angeles, California. She got her medical degree from Stony Brook University School of Medicine and did an internship at UCLA Medical Center. 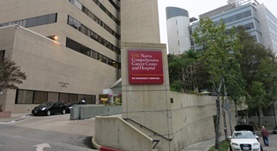 Dr. Gitlitz completed a residency at Cedars-Sinai Medical Center and a fellowship at UCLA Medical Center. She is certified in medical oncology and has more than 20 years of experience. 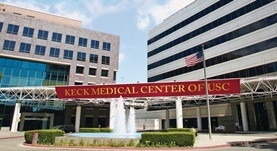 Currently Dr. Gitlitz is affiliated with Keck Hospital of USC and USC Norris Cancer Hospital. Dr. Barbara J. Gitlitz has contributed to 3 publications. Carter, C. A.,Rajan, A.,Keen, C.,Szabo, E.,Khozin, S.,Thomas, A.,Brzezniak, C.,Guha, U.,Doyle, L. A.,Steinberg, S. M.,Xi, L.,Raffeld, M.,Tomita, Y.,Lee, M. J.,Lee, S.,...; Ann. Oncol.. 2016 Jan 24. Disease Control Rate at 8 Weeks Predicts Subsequent Survival in Platinum-Treated Extensive Stage Small-Cell Lung Cancer: Results From the Southwest Oncology Group (SWO. Lara, P. N.,Moon, J.,Redman, M. W.,Semrad, T. J.,Kelly, K.,Allen, J.,Gitlitz, B.,Mack, P. C.,Gandara, D. R.; Clin Lung Cancer. 2015 Oct 27. Ou, S. H.,Greenbowe, J.,Khan, Z. U.,Azada, M. C.,Ross, J. S.,Stevens, P. J.,Ali, S. M.,Miller, V. A.,Gitlitz, B.; Lung Cancer. 2015 Mar 05.